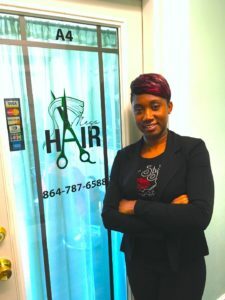 Omega Glenn, CommunityWorks Small Business Loan client, pictured here in front of her salon. Greenville, S.C. (February 7, 2019) – CommunityWorks (CW) announced a $500,000 Equity Equivalent Investment from Capital Bank, part of the First Horizon National Corp. (NYSE: FHN) family of companies which includes First Tennessee Bank. This investment will help strengthen small business development. The investment also supports a community loan fund that provides capital to small businesses and developers for fund acquisition, short-term bridge financing, construction and preservation of affordable housing in our community. FOR MORE INFORMATION: Deborah McKetty, President & CEO, 864-235-6331; Nicole Thomas, Capital Bank, 901-523-4468. 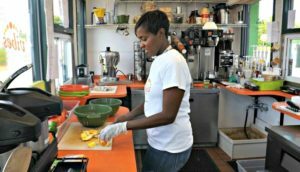 Charlotte Brown, of Fresh Vibes Juice Bar, CommunityWorks small business client since 2014. CommunityWorks was established in 2008 as a local housing trust fund through a partnership between the City of Greenville, United Way of Greenville County and Greenville County Redevelopment Authority. 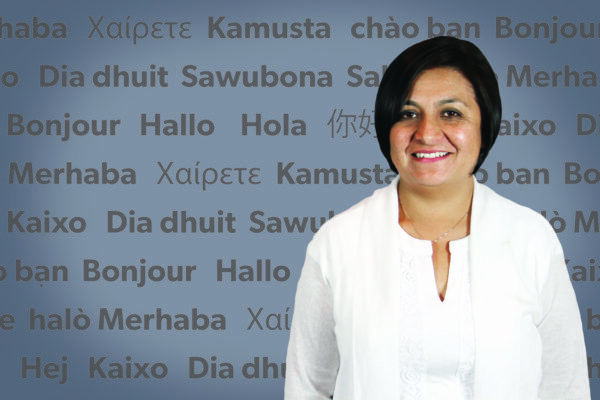 CommunityWorks’ mission is to build a brighter future for underserved families and communities through financial education, lending, and investing. In 2011 CommunityWorks was certified by U.S. Treasury as a Community Development Financial Institution (CDFI) which operates a community loan fund that supports community economic development. Since its inception, CW has generated over $221 million in local economic impact and has provided 33,900 hours of training and coaching, served 3,612 families, provided over $3.9 million loans to startups and existing small businesses, and deployed over $6.3 million in affordable housing and community loans that have created or preserved over 662 affordable housing units. Capital Bank, together with First Tennessee Bank, has the largest deposit market share in Tennessee, approximately 300 branches across the southeast U.S., and one of the highest customer retention rates of any bank in the country. We have been ranked by American Banker as No. 5 among the Top 10 Most Reputable U.S. Banks. We were founded in 1864 and have the 14th oldest national bank charter in the country. Our FTB Advisors wealth management group has more than 300 financial professionals and provides services to about $30 billion in assets. FTN Financial, with 28 offices across the U.S., is a capital markets industry leader in fixed income sales, trading, and strategies for institutional customers in the U.S. and abroad. First Tennessee, Capital Bank, FTB Advisors, and FTN Financial are part of First Horizon National Corp. (NYSE:FHN). We have been recognized as one of the nation’s best employers by American Banker magazine and the National Association for Female Executives. More information is available at www.CapitalBank-us.com or www.FirstTennessee.com.